The Fowler Center for Business as an Agent of World Benefit is pleased to announce that Raj Sisodia and Cindy Stull have joined its Advisory Board. 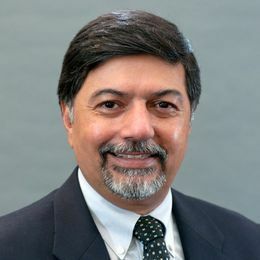 Co-Founder of Conscious Capitalism and a thought leader in igniting business as a force for good, Sisodia currently serves as FW Olin Distinguished Professor of Global Business and Whole Foods Market Research Scholar in Conscious Capitalism at Babson College, and Co-Founder and Chairman Emeritus of Conscious Capitalism Inc. He was most recently on campus for the Third Global Forum for Business as an Agent of World Benefit in 2014, where he delivered a keynote address. “We are grateful for the inspiring work Raj brings to the entire field of management and business as a force for good,” said Fowler Center Faculty Director David Cooperrider. Sisodia holds a PhD in marketing from Columbia University and is the co-author of The New York Times and Wall Street Journal bestseller Conscious Capitalism: Liberating the Heroic Spirit of Business (2013) and Wall Street Journal bestseller Everybody Matters (2015). Sisodia was named one of "Ten Outstanding Trailblazers of 2010" by Good Business International, and one of the "Top 100 Thought Leaders in Trustworthy Business Behavior" by Trust Across America for 2010 and 2011. He received an honorary doctorate from Johnson & Wales University in 2016. Sisodia has published ten books and over 100 academic articles. His book Firms of Endearment: How World Class Companies Profit from Passion and Purpose was named a top business book of 2007 by Amazon. He has consulted with numerous companies, including AT&T, Nokia, LG, DPDHL, POSCO, Kraft Foods, Whole Foods Market, Tata, Siemens, Sprint, Volvo, IBM, Walmart, Rabobank, McDonalds and Southern California Edison, and he is a member of the Board of Directors at The Container Store and a trustee of Conscious Capitalism Inc. In her role as Partner and Chief Sales Officer, Dealer Tire, Cindy Stull is responsible for all sales functions within the organization. She previously held the position of Chief People and Strategy Officer within the company, having joined Dealer Tire in March 2006. Stull’s areas of expertise include sales, corporate strategy, mobilizing large-scale change initiatives, leadership development, and organizational effectiveness. 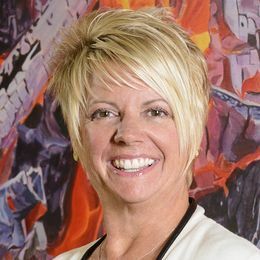 She leads a team of over 500 people who help automobile dealerships to sell tires and maintenance products as part of the auto manufacturers’ programs. The team provides value-added services to enable dealerships to increase both revenue and profitability and drive customer retention. “Cindy Stull is an exceptional executive and has been a long-term partner in the development of Appreciative Inquiry as a way to bring out the best in human systems. The Fowler Center is privileged and delighted to have her as part of our community as we seek to accelerate positive impact in our region,” said Fowler Center Faculty Director David Cooperrider. Prior to joining Dealer Tire, Stull was Vice President – Organizational Development, Human Resources, and Industrial Engineering at Roadway Express, Inc., one of the largest transportation providers in the world. She spent 20 years at Roadway in a variety of roles across the organization, including leading various post-acquisition integration efforts. Stull received her Bachelor of Science from the University of Akron. She is on the board of In Counsel with Women in Northeast Ohio. She has assisted the U.S. Navy in conducting Appreciative Inquiry (AI) summits and supported David Cooperrider in facilitating an AI summit for the United Nations Global Compact. Stull is a member of the Dean’s Visiting Committee at the Weatherhead School of Management. She is also on the Board of the David L. Cooperrider Center for Appreciative Inquiry at Champlain College in Vermont. She supports Go Red for Women (American Heart Association) and was the 2014 Campaign Chairperson for Cleveland. She is also member of Circle of Red and part of the Executive Leadership Team for Go Red. Stull serves as the Chair of the Foundation Board of Edwin’s Leadership Restaurant & Institute in Cleveland.